Today's post is related to a song I posted last week about My Hands. If you missed it, you can have a listen here. When I used this song in classrooms, I wanted to have visuals that featured the different textures mentioned in the song: soft, hard, rough, bumpy. When creating the visuals, I wanted to be sure they were small enough to carry around in my cart that comes with me from classroom to classroom. I made a book of 4 hands, each hard laminated and cut out. 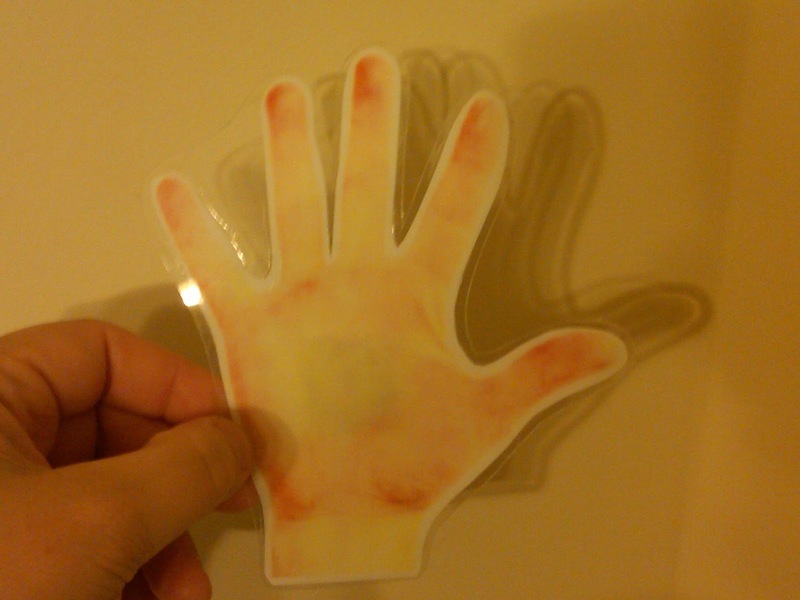 Here's an example of what one hand looked like laminated and cut out. Next, I applied the different texture examples to the insides of the hands (where you would feel them). 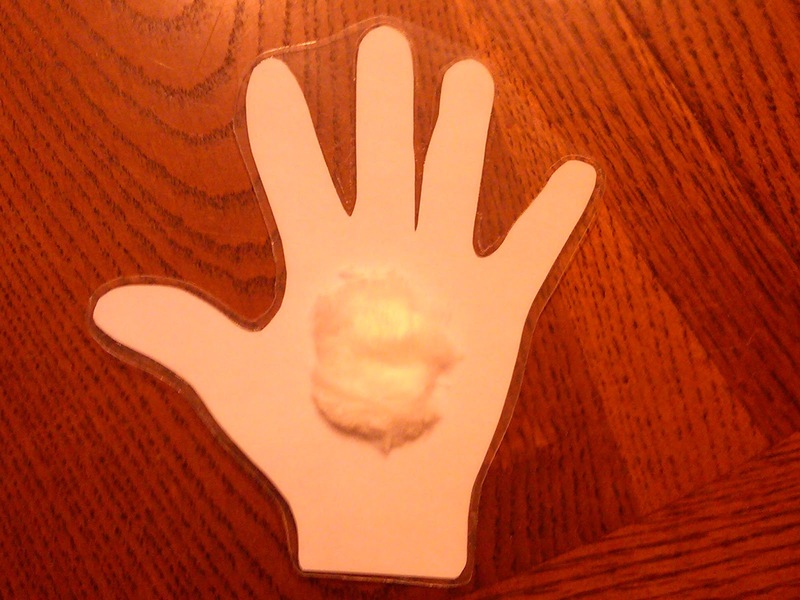 My examples were cotton for soft, puzzle piece for hard, sand paper for rough, and packing bubble wrap for bumpy. Here's a pic of the finished "soft" textured hand. These visuals worked great for me and were easy to get out and use. You could choose whatever textures you have on hand and keep them all together by hole punching the bottom of the hand and using a binder ring to clip them together. Stay tuned this week for another song post! The Back to School Batch!